LOCAL WASECA, MN TRADE IN - REAL NICE TRUCK AT A SUPER LOW PRICE!!! 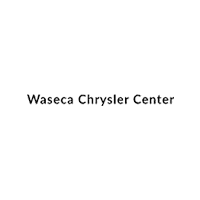 5.7L V8 HEMI ENGINE, 4X4, 20 CHROME WHEELS, TRAILER TOW PACKAGE, POWER WINDOWS/LOCKS, SPEED CONTROL, AM/FM/CD, AC, PLUS MUCH MORE.............PRICE INCLUDES $1000 FINANCE REBATE - MUST FINANCE WITH WASECA CHRYSLER TO QUALIFY!!! REAL NICE TRADE IN FROM NEW RICHLAND, MN!!! 3.6L V6 ENGINE, AWD, HEATED LEATHER SEATS/STEERING WHEEL, REMOTE START, 8 TOUCHSCREEN, AM/FM/SIRIUS SATELLITE RADIO/BLUETOOTH COMPATIBLE, 3RD ROW SEATING, POWER WINDOWS/LOCKS, SPEED CONTROL, AC, REAR AIR/HEAT, 19 ALLOY WHEELS, PLUS MUCH MORE........................................PRICE INCLUDES $1000 FINANCE REBATE - MUST FINANCE WITH WASECA CHRYSLER TO QUALIFY!!! 2 OWNER VEHICLE FROM FLORIDA - 4X2 - MINT CONDITION WITH NO RUST!!! 5.7L V8 HEMI ENGINE, 4X2, SOFT TONNEAU COVER, CHROME RUNNING BOARDS, 20 ALLOY WHEELS, POWER WINDOWS/LOCKS, SPEED CONTROL, AC, AM/FM/SIRIUS SATELLITE RADIO, PLUS MUCH MORE........................PRICE INCLUDES $1000 FINANCE REBATE - MUST FINANCE WITH WASECA CHRYSLER TO QUALIFY!!! 1 OWNER TRADE IN FROM MINNEAPOLIS, MN - REAL NICE CONDITION WITH HEATED SEATS/STEERING WHEEL AND TRAILER TOW GROUP!!! 3.6L V6 ENGINE, AWD, POWER DRIVERS SEAT, HEATED SEATS/STEERING WHEEL, TRAILER TOW GROUP, 3RD ROW SEATING, AC, AM/FM/SIRIUS SATELLITE RADIO/BLUETOOTH COMPATIBLE, POWER WINDOWS/LOCKS, SPEED CONTROL, AC, PLUS MUCH MORE............................PRICE INCLUDES $1000 FINANCE REBATE - MUST FINANCE WITH WASECA CHRYSLER TO QUALIFY!!! FACTORY CERTIFIED AND INSPECTED AND PROTECTED WITH 7 YEAR/100,000 MILE WARRANTY - REAL NICE CONDITION AND FULLY LOADED WITH WARRANTY!!! 3.6L V6 ENGINE, HEATED FRONT SEATS/STEERING WHEEL, REMOTE START, BLIND SPOT/CROSS PATH DETECTION SYSTEM, ALLOY WHEELS, AM/FM/SIRIUS SATELLITE RADIO/BLUETOOTH COMPATIBLE, 7 TOUCH SCREEN, POWER WINDOWS/LOCKS, SPEED CONTROL, 3 ZONE TEMP CONTROL, PLUS MUCH MORE................................PRICE INCLUDES $1000 FINANCE REBATE - MUST FINANCE WITH WASECA CHRYSLER TO QUALIFY!!! FACTORY CERTIFIED AND INSPECTED AND PROTECTED WITH 7 YEAR/100,000 MILE WARRANTY - REAL NICE CONDITION AND FULLY LOADED WITH WARRANTY!!! 3.6L V6 ENGINE, HEATED FRONT SEATS, REMOTE START, POWER DRIVERS SEAT, ALLOY WHEELS, AM/FM/SIRIUS SATELLITE RADIO/BLUETOOTH COMPATIBLE, 7.0 TOUCH SCREEN, POWER WINDOWS/LOCKS, SPEED CONTROL, 3 ZONE TEMP CONTROL, PLUS MUCH MORE................................PRICE INCLUDES $1000 FINANCE REBATE - MUST FINANCE WITH WASECA CHRYSLER TO QUALIFY!! !